Sweetpea Journey #8: She’s Heeeere! Delivery: February 15, 2010 at approximately 7:15pm. Bikey’s first photo shoot: Here. Bikey’s first album: “Blonde on Blonde” by Bob Dylan. Bikey’s first ride: Around my neighborhood. I think I’m probably the first owner of a Sweetpea in Clackamas County. Bikey’s deb ball: February 19, 2010 at the Madison Mansion. Click here for photos. Bikey’s first catcall: March 4, 2010. My friend Yeltie and I were biking up Clinton. A blonde female spandex-clad lycra warrior riding a Waterford passed us, looked back and said “Nice bike.” “Thanks,” I replied. Did I mention she was riding a Waterford? My final fitting was February 23rd. Natalie and Stephanie made a world of difference in my riding experience by adjusting the seat post, saddle, and brake levers. Now the bike really does feel like it was made just for me! Compare to this photo from my first fitting–the angle of my arms is especially more reasonable. Although I’m not currently a daily commuter, I feel like I am on this bike. I can breathe better while biking. Unscientific studies tell me I’m arriving earlier than I used to at my destination. When I arrive, I’m not feeling as winded or physically exhausted–amazing considering how idle I’ve been all winter. 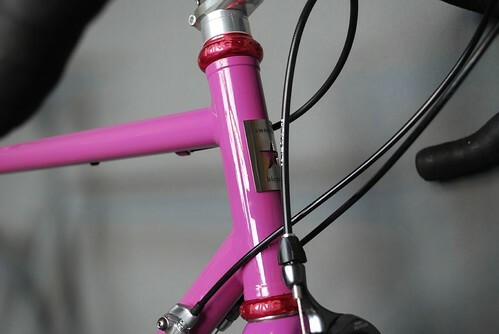 If you didn’t know, I’m getting a custom-made bike from Sweetpea Bicycles. Natalie Ramsland builds these bikes specifically for women, one of just two women frame builders in the United States (the other is Luna Cycles). Many people I know are interested in hearing about the process, so I hope to be blogging about it each step of the way. Read the series here. Now, here’s the seventh installment. Away we go. Then earlier this week, she sent word that my bike had gone to the mechanic to get built up (assembled). Yesterday, I learned that the total I have yet to pay on the bike (minus my deposit and the Unitus bike loan) is less than half what I was expecting. Meanwhile, I have secured a place to have an official unveiling/deb ball for my bike, on the evening of February 19th. The theory is that it will give everyone an opportunity to see the bike themselves, and I’ll get to answer a question once instead of 50 times, to 50 people. That’s the hope anyway. Check back after that evening for a recap and photos! *=In reverence to the great Tim Curry. Winter has been creeping into my life and into my head. “What the heck does that have to do with your bike?” you ask. When it gets cold and rainy outside, it gets cold inside my house, and my mental focus on staying warm becomes more intense as winter descends. Thus, I have been spending many of my days sitting with a blanket on my lap, drinking warm tea, and watching chubby squirrels perform aerial stunts to get at berries in the hawthorne tree outside my window. Everything else becomes secondary, like returning one’s library books, or making a final decision about the color of one’s Sweetpea. 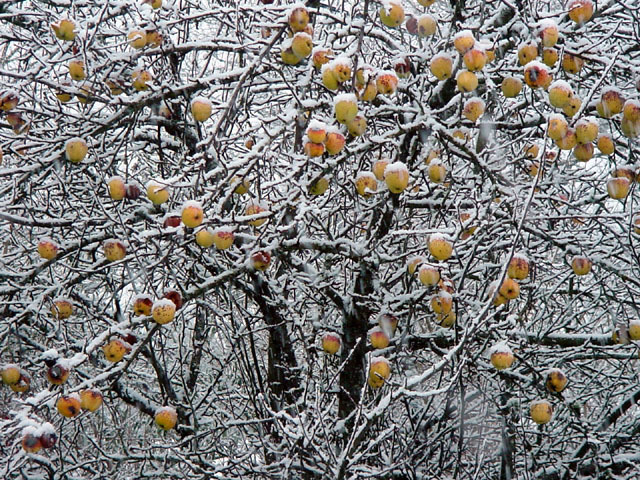 Winter impacts me deeply. Because of this, Natalie had to give me a couple of friendly nudges. First, she informed me when she had shipped my frame off to the powdercoating shop in Colorado, and about a week later, she followed up by reminding me that they were awaiting instruction from me to get started. That’s when my anxiety and guilt about slowing down the process fully kicked in. Knowing what was holding me back, I brought in the big guns. A design consultant with years of expertise in color, pattern, and materials coordination in the print and textile worlds, and so eager to work with me on any project that my gratitude would be enough to repay her. One evening we conspired for two hours, using my computer, her trusty Pantone color book (which has been invaluable in this process), a design concept, and our grit. We worked backwards, making parts decisions that could impact the color of the frame (if that rack isn’t available in black, there might be too much chrome, meaning we might need to rethink things!). We discussed subtle color differences in the Pantone colors and came to a final decision. At last I was ready to give some direction. And it became even clearer to me that this is going to be one hot little bike, more than the sum of its parts. The next morning I baked Natalie some homemade blackberry muffins, then headed over to the shop to brief her, showing her the color swatches for the frame. I also made a detailing request that will make this Sweetpea mine and mine alone. But I’ve been delightfully vague. “What colors will be on your frame?” you inquire. Your mind aches to know more about my detailing request. This epic story needs some dramatic tension, so I’m intentionally not divulging the information until I get the bike. I will tell you this though. I’m ordering a new Brooks saddle: the B17 Champion Special, in honey. And a green Chris King headset. In a perfect world I’d also have a wheel with Chris King green hubs to match the headset, but sadly, doing a custom wheel build is too expensive to justify it on looks alone. Frame painting takes 4-6 weeks, and because of my slight delay in giving them instructions, I’m starting to view my Sweetpea as a birthday bike (my birthday is January 3rd). If it weren’t for the craziness of the holidays, combined with some self-imposed academic deadlines, I might pine away for the next month. But I’ve got some serious work to do. Next: While my frame is getting the Colorado spa treatment, I make a few more parts decisions, including whether I want my bike to have a Shimano Dura-Ace or Ultegra drivetrain. 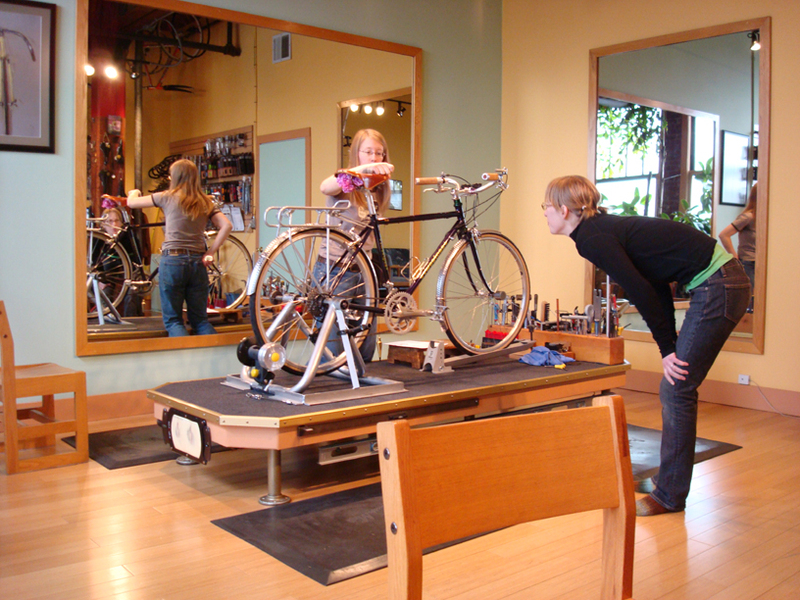 After my bike’s homecoming, she gets built up by the awesome mechanic, and then–oh, then!–perhaps a ride or two before my final bike fitting. Today was another cold, wet day here in Vancouver. After a couple of great meetings downtown in the morning, including having lunch with the crew of Momentum Magazine, I decided to use the rest of my last day to check out the famous public market at Granville Island. Even before I got there, the nice pants I was wearing were getting pretty wet. There wasn’t any covered bike parking next to the market, so I settled for putting my homemade waterproof seat cover over my beautiful Brooks saddle before heading inside. Oh boy, was it an awesome market. It’s too bad I had just eaten lunch, because I’m pretty sure I could eat a hole through the place under the right circumstances, much like Wakko Warner. Miniature cakes. Gelato. Fresh produce. Handmade bamboo baby hats. Like Portland’s Farmers Market, except every day of the week, and inside a building! After enjoying a cup of jasmine tea, a dry peanut butter chocolate chunk cookie and drying off a bit, I decided to head back to my hosts’ house. I discovered my waterproof seat cover was leaking, threatening to endanger my beloved Brooks saddle, but wiped most of the wet and started riding off into the rainset. As I navigated the island to find my way back to the seawall in the cold rain, heavier now than ever, I moved over on one of the narrow streets to let a car pass me. Looking down, I saw another set of rail tracks that had been mostly covered by asphalt–the few roads on the island seemed to be full of them. I took a spill. My head hit the pavement but most of the hurt was in my neck. My knee got a little scraped, but I didn’t ruin the nice pants I was wearing, unlike the last time tracks swallowed my wheel and I tore through two decent layers of clothing (ask me to show you the scars!). I immediately got back up on my bike, with that weird post-fall bitter taste in my mouth. Once on the seawall again, I discovered that my shifters had been knocked a little out of place, but I later adjusted them back to their rightful place. I used most of the rest of the ride home to grumble under my breath (tongue only partially in cheek) about the rain, and rail tracks. And the steep hill I had to climb to get home. And the weight of the extra stuff I took today in my bag. And just about everything else. But mostly my fall and the rain. Once home and into a dry pair of pants, sipping a cup of warm tea, and checking in with the intertubes, things were right as rain again in Heatherland, despite having pain in other places in my back since that time. Looking back, this is the third bike crash I’ve had, and the third that has only involved me–no cars. Two of the three have involved rail tracks, and to be fair, I had a near-crash in December involving the tracks in front of my office. If I was Stephen Colbert, rail tracks would definitely be going on the Threatdown. Tomorrow morning I leave for an extended weekend in Vancouver, British Columbia. Yippee! I’ll be staying with some very friendly staff members from Momentum Magazine, meaning I’ll be getting a great bikey introduction to Vancouver. The plan is for me to drive up, park my car, take my bike out of the back, and not need my car again until it’s time to go home*. Assuming that I have regular access to free wifi, I hope to be posting photos and blogging every day about my adventures over the next few days. Check this space out for the latest! *=Incidentally, I’m really good at these flash-driving trips. Where I have to work until the day I leave, leaving me little time to prepare or get rest for an entire day’s drive; and then driving an entire day home and expecting myself to be at work on time the next morning. Note to self: start breaking this habit. 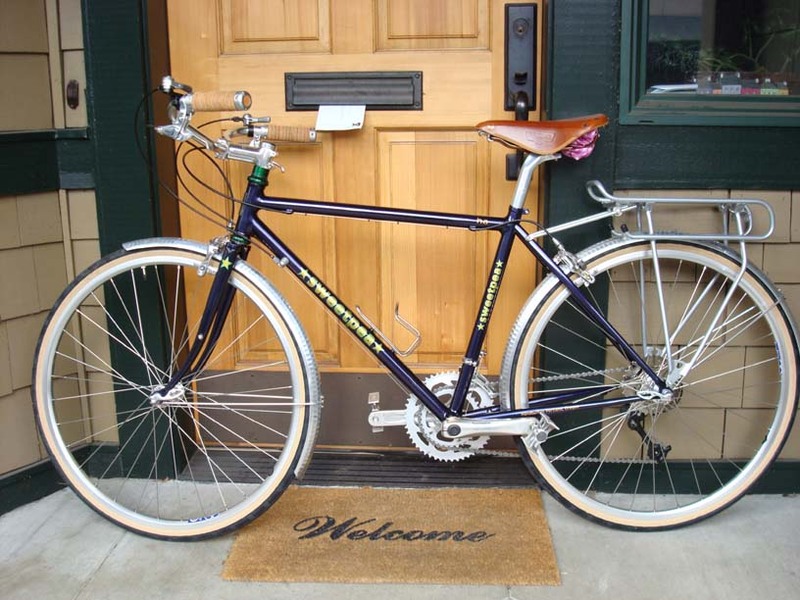 After many months of salivating and fantasizing, last May I decided to get on the waiting list for a Sweetpea Bicycle, lovingly handmade here in Portland by Natalie Ramsland. Natalie is one of only a few women framebuilders in the US, and one of only two that only make bikes specifically for women. 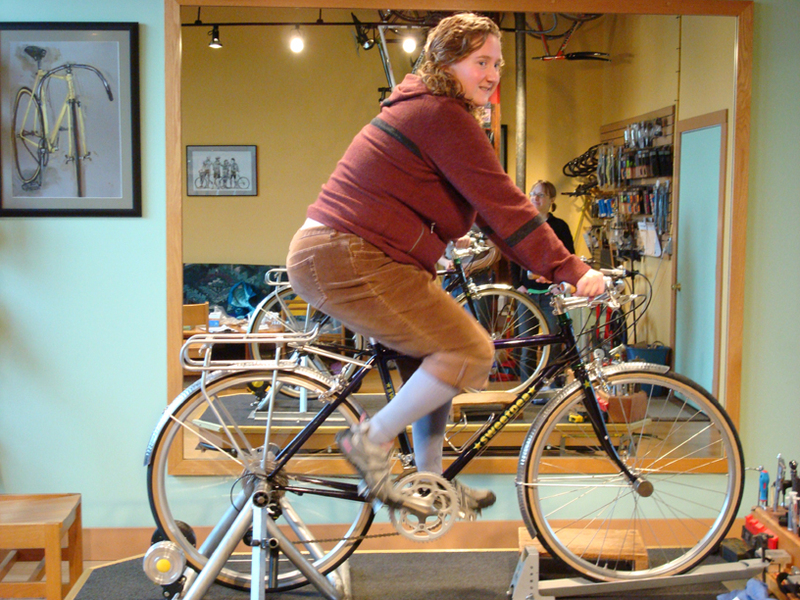 Besides my desire to support a local woman builder, I had also agreed to be the guinea pig for my credit union’s bike loan program. In the end, both Sweetpea and Unitus got some good press out of the deal, and I didn’t do too poorly either. As for my bike, as soon as I got on the list Natalie asked me to tell her about my hopes and dreams, and we continue to develop the vision every time I bump into her around town. Right now I’m hoping the bike will end up looking a little like an old school Raleigh cruiser, with upright bars and a luxurious Brooks saddle*. I’m hoping it will be dark purple, either sparkly or with a green candy coat, providing a little drama on sunny days. It will be outfitted for my serious commute, sturdy but swift, with racks. As for accessories, I see it with one of the beautiful brass bells from my collection, sweet hammered aluminum fenders, and capable of holding an on-bike sound system so I can listen to James Brown during my hour-long commute each way. Chris King components in a complementary color, of course, possibly green. A little something like Elly’s “Farmers Market,” and yet nothing like it at all. At last estimate, it looks like I won’t be getting my bike until around August. Probably later. This is why they ask you to start practicing your zen calm as soon as possible. I will keep you posted as things develop, but in the meantime you can check out some of the other bikes Natalie has made here.